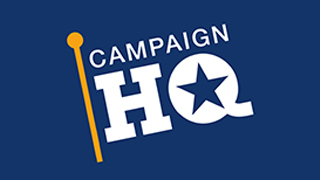 Imagine the excitement of a volunteer campaign headquarters coupled with the cutting edge technology and rigorous discipline of a large call center … that’s CampaignHQ. We find passionate people and train them to effectively communicate your message over the phone. Since 1999, we’ve delivered millions of telephone fundraising, voter ID, persuasion, patch through and GOTV calls for winning campaigns and organizations. Let’s talk today about how we can help you win!